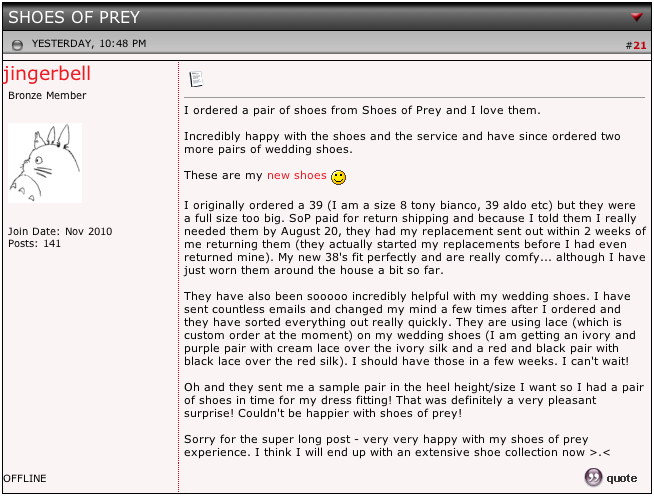 It's so rewarding reading customer testimonials like the one above which a customer left on the Vogue Australia forums. Congratulations and thanks to Susie and Jonaye for doing such a great job with our customer service! That's brilliant feedback....it's always hard when you put your offering into cyberspace, because of lack of control. It's great SoP customers are feeling so positive about the brand that they're sharing the love.